Can I get my order delivered to a salon? 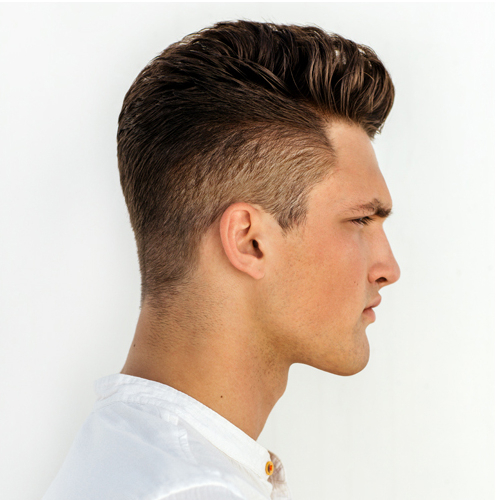 Yes, Regis offers a Click & Collect service where you can choose to collect your order from over 200 salons. Can I get my Click & Collect order delivered to a Regis Salon in my local department store? Unfortunately, we do not currently offer our Click & Collect service in department stores. All Click & Collect orders must be returned in-line with the Regis Returns Policy, found here, and on the reverse of your delivery note. We do not accept returns in-salon. Can I return my Click & Collect order to the salon I collected it from or to any other of your salons? No, we do not accept returns in-salon. All Click & Collect orders must be returned in-line with the Regis Returns Policy, found here, and on the reverse of your delivery note. How do I find my nearest salon to deliver my Click & Collect order to? We will automatically list for you the salons nearest to your address, and you can also search for locations that may be more convenient. How do I know when my Click & Collect order has been delivered and is ready to pick up? You will receive an email to let you know when your Click & Collect order has been delivered to the salon of your choice. How do I know where the Click & Collect salon is? The full address and postcode of your chosen salon will be repeated throughout the order process and will also be on your order confirmation email, as well as the salon being shown on an accompanying map. What time will the salon be open to collect my Click & Collect order from? The opening times for the salon you have selected will be included in your order confirmation email for your reference. It is always best to call ahead to check that your salon is open before travelling. How long will it take for my Click & Collect order to be delivered to the salon? Please allow 3 to 5 working days for Click & Collect deliveries. Your order will be packaged with your name on the address label. Please bring a copy of the order confirmation email and the card that you used to pay as proof of your identity. Regis checkout is powered by Klarna. You have two secure options for payment with Klarna, Pay Now or Pay Later. Klarna can be used to buy now and pay later, with no extra costs! If you'd like to take advantage of the Pay Later option just complete your purchase by selecting 'Pay Later with Klarna' as your payment method. You will receive an email with your invoice which can be paid within 14 days of receiving your order. Don't worry if you return, your Klarna balance will be updated accordingly. More details on Klarna can be found here. What is a CV2 or security code? This is the last three digits on the signature strip on the reverse of your card. The CV2 number enhances fraud protection and helps to validate that the card is in your possession and card number is legitimate. Yes we include VAT at the current rate in all of our product sales. We do not charge your payment card until we have despatched your order. You can view your Regis online orders in the My Orders section under My Account. If your order was to be delivered by courier then you will have been provided with a Tracking Reference in your Despatch Confirmation email. To cancel an order please contact Regis Customer Services. If we have already despatched your order and taken payment you will need to follow the Returns Policy to return the order and receive a refund. Once your order has been placed and confirmed it is not possible to amend it. If you have any queries about your order please contact Regis Customer Services. What do I do if my order has an item missing? Please contact Regis Customer Services and have your order details ready so we can help you further. What do I do if an item in my order was damaged? Currently you cannot place an order by telephone, you must place your order directly through the website. Why am I limited in the number of a particular item that I can purchase? In order to ensure that as many consumers as possible can purchase our products and to prevent bulk buying by retailers as this site is intended for consumers there is a limit on any non-sale item that can be purchased at any one time or in any series of consecutive or linked orders. This limit applies per household and we reserve the right at our discretion to decline orders we believe have been placed by or on behalf of the same household. What are the limits on the number of a particular sale item that I can purchase? Where a product is on sale or subject to a special offer, customers are restricted to purchasing a limited number of that item. The reason for this is that we want to ensure that as many customers as possible can take advantage of our sale and special offers and also to prevent retailers bulk buying and preventing consumers from taking advantage of our great deals. This limit applies per household and we reserve the right at our discretion to decline orders we believe have been placed by or on behalf of the same household. We charge £2.95 for standard delivery on orders under £25. We offer FREE Delivery (2-4 working days) on all orders over £25 and an Express (next working day) service for £5.95. We also offer a FREE Express (next working day) delivery option for all orders over £50, ghd electrical products and Gift Cards. Please note that Regis only process orders on working days. Working days are defined as Monday – Friday, excluding bank and public holidays. If you select our Standard Delivery option, your order will be delivered within 2-4 working days. If you select our Express Delivery option or Click and Collect option, your order will be delivered the Next Working Day. Please note that our order cut off time is 4pm, and orders are dispatched from our warehouse Monday to Friday. What delivery services will you use? Currently we only deliver to the United Kingdom. Do you deliver to BFPO or PO Box Addresses? Please contact Regis Customer Services for more information. You may return any unopened, sealed and unused products which you have ordered through this website within 14 days of delivery. We will refund you in full for the products, but you will be liable for any applicable delivery charges. We will process the refund due to you as soon as possible and, in any case, within 30 calendar days of the day on which you return the products to us. If you have returned the products to us because they are faulty or mis-described, we will refund the price of a defective product in full and any applicable reasonable delivery charges you incur in returning the item to us. To return a product in accordance with this policy please follow the instructions provided with your delivery. These will either be with the Order Delivery form, or on the reverse of the form. How do I return ghd electrical products? Can I return an order to a Regis Salon? Unfortunately, we are unable to accept returns in Salon, please contact Customer Services or see our Returns Policy. Can I return an an item I bought from clearance? Unfortunately, we are unable to accept returns of our clearance products. However please note this does not affect your statutory rights. I have entered my password, but I am unable to sign in. What should I do? Double check the spelling of your email address as well as your password. If you are still unable to sign in then please follow the forgotten password link at the sign in screen. We will email you instructions to change your password so you can get back to shopping with us in no time. Please see the My Account section on this site for further information on how to change your password, email address and any other details. How do I stop receiving emails from Regis? You can unsubscribe from our emails in the Your Account section on this site at any time. Can I leave a review about a product I have bought or used? 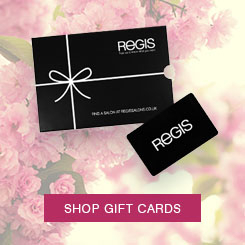 Yes, we would love to hear your thoughts on any of the products you have brought from Regis. You can only leave a review once you have registered with us. Please sign in to your account, find the product you would like to review, click on “Write a Review” and off you go. What sort of things can I put in my product review? Your thoughts and views are important to us and will be helpful to other visitors to Regis, we would love to hear about the products you have tried, how you have used the product, the things you think are great about it as well as the things you think maybe aren’t quite as great and could be improved. Is there anything I should not put into a review? Please do not include any pricing, promotions, references to other retailers, personal information or any profane or copyrighted comments. Doing this will lead to your review being rejected and you will not be able to view it on the website. Why can I not see my review? Once your review is submitted it goes through our moderation process so it may take up to 48 hours to appear on the website. If you want to check the reviews you have made you can see these any time by looking within the My Account section. My complaint hasn't been resolved to my satisfaction, what can I do?